Through my whole 23 years of existence, my inborn love and enthusiasm for food, and SM Bicutan being one of the nearby malls I grew up with, it is such a shame to admit that it was only a few days ago that I have tried Silom Thai Restaurant. 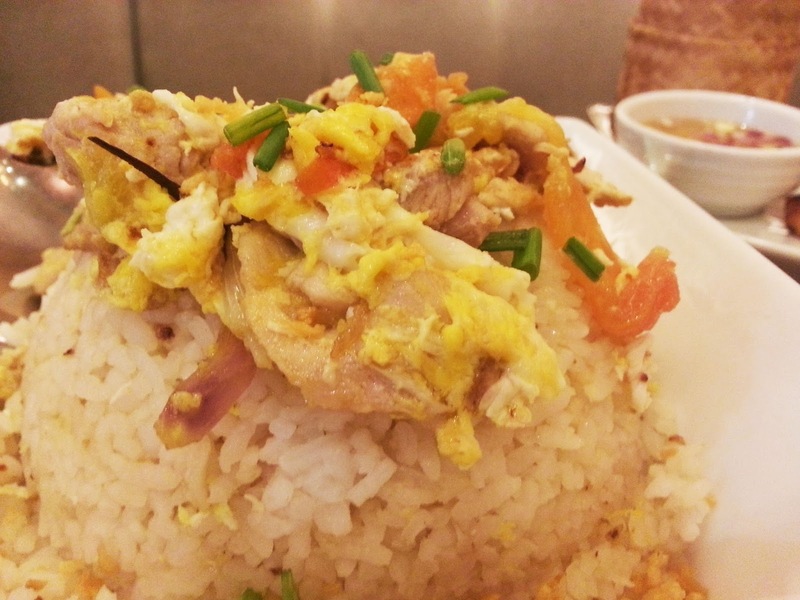 It's probably the best restaurant to dine in SM Bicutan. 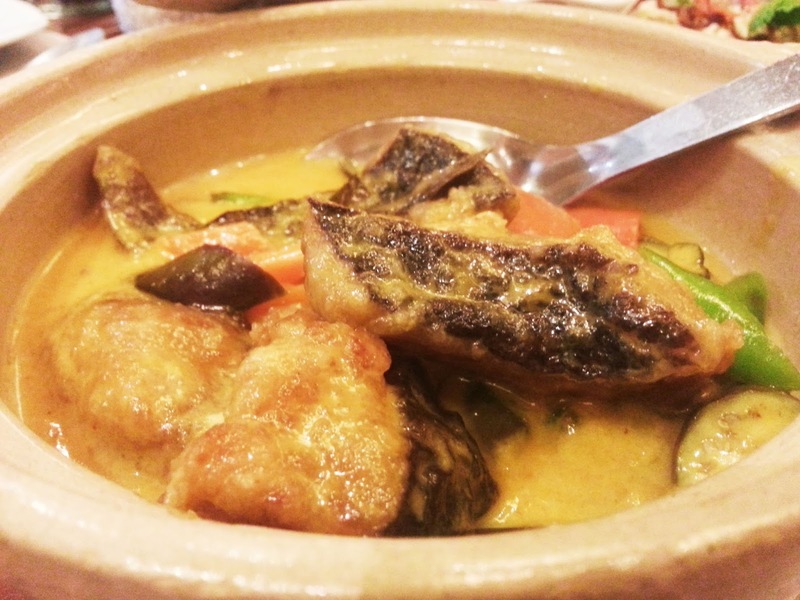 The ingredients and food preparation is of quality and would exceed your expectation. 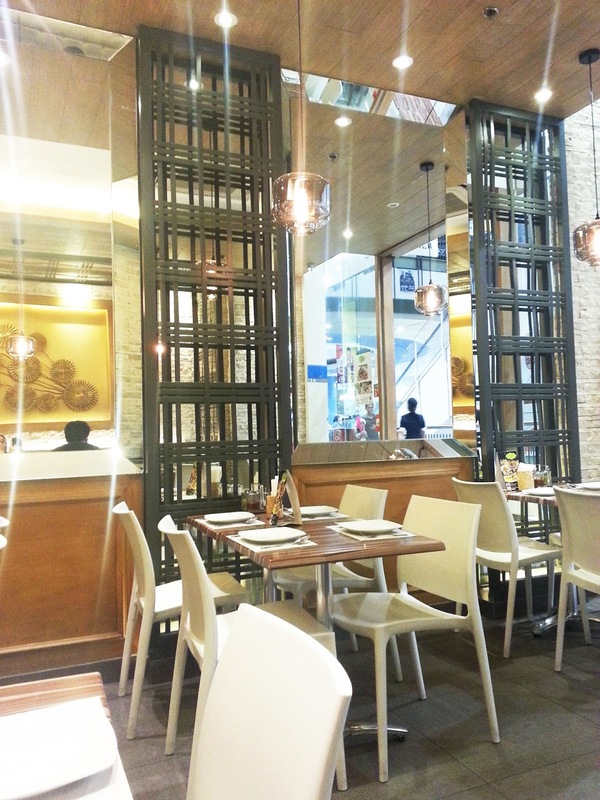 Their ambiance, table setting(specially the textured metal drinking glass), and serving plates are simple yet has that very asian feel. I wasn't as excited at first since Thai cuisine isn't one of my top favorites but as a person with an undying passion for eating GOOD FOOD, I was still more than willing to give it a try. 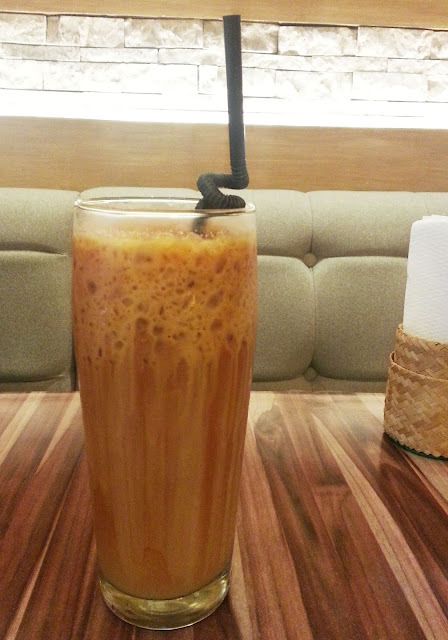 Thai Iced Tea with Milk (P90). After a sip, it immediately brought me back to the authentic milk teas I used to drink in HongKong. I have never been to Thailand yet so I have no point of comparison but if it's as good as HK's milk tea then this must be the real deal of Thailand's! 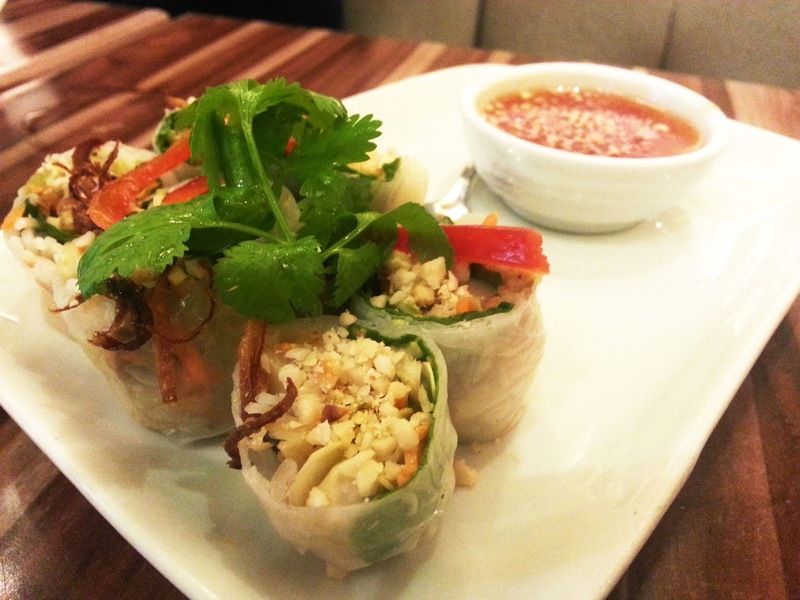 Vegetarian Spring Rolls (P130). It was a surprise when i took a bite-sized piece of these rolls. It was so fresh and light. The perfect appetizer before digging into their rich flavorful dishes. 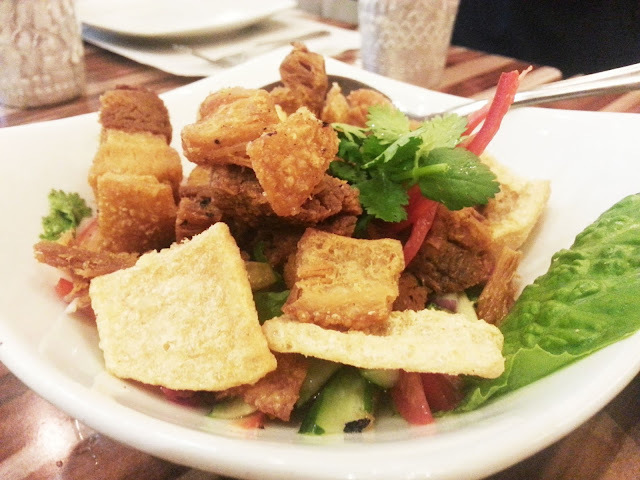 Crispy Pork Salad (P255). How can something so healthy be so sinful at the same time? Eat this salad and you'll know what I'm talking about. If I had more than 2 thumbs, I'd raise them all! Fried Rice with Shrimp (P180). Serves around three. 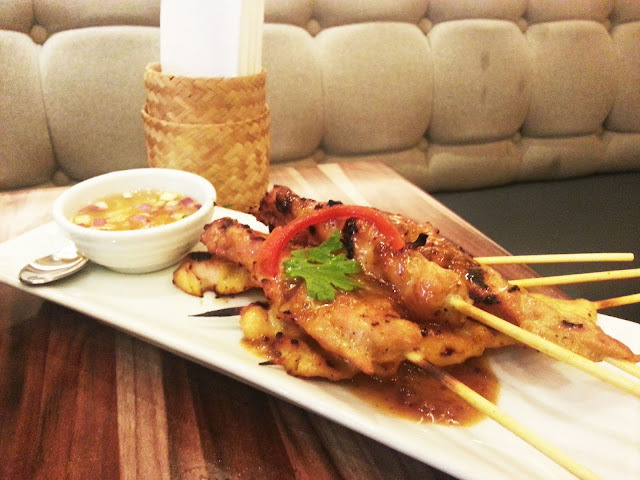 Perfect pair to the red curry fish and sate. I can't wait to come back and try more of their dishes and desserts!